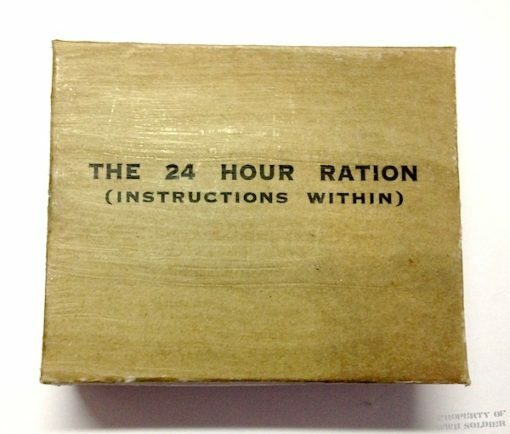 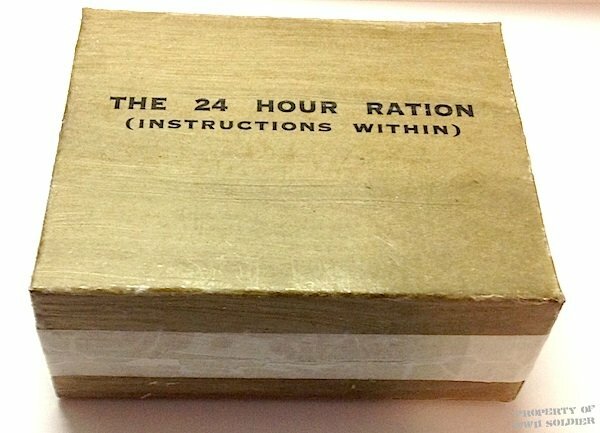 24 Hour Ration box is a 2 piece box sealed with paper tape. 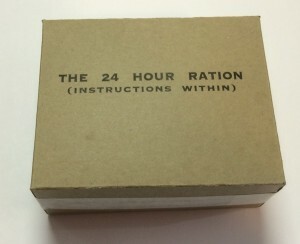 To open the box, carefully slice open the tape with a razor blade. 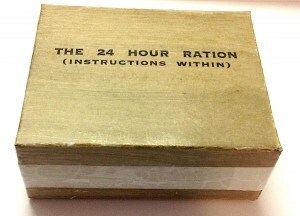 The 24 Hour Ration Box is available in Waxed or Unwaxed. 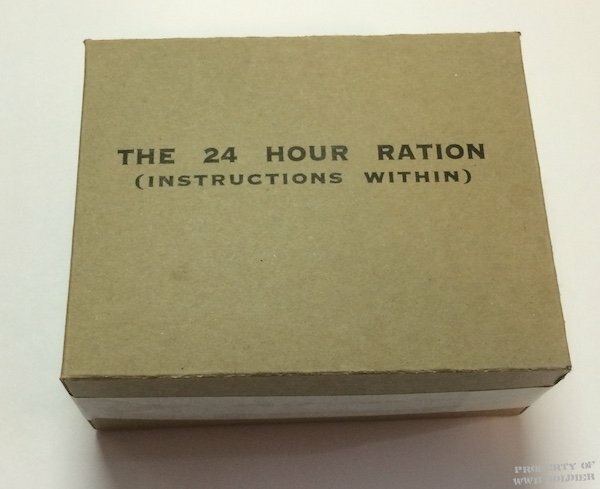 This box is empty and for Display Only, Museum quality. 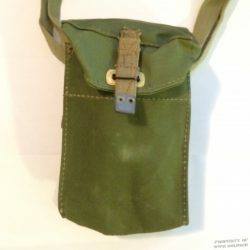 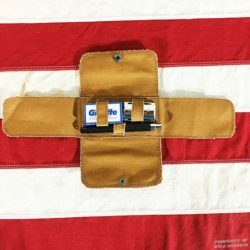 Designed to fit in the British mess kits, just like the originals. 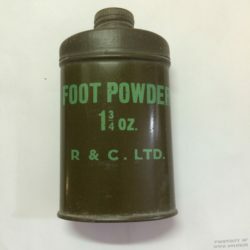 The 24 Hour Ration box is the equivalent of the American K Ration.